Source: Received a copy from author in exchange for an honest review, no compensation. A young woman explores the ancient mysteries of the sea in an unforgettable adventure of friendship and family. Escaping from an abusive past, she finds solace in an underwater world full of beauty, wealth, and power. Discover how her life is transformed as she struggles to find true love in a world that forbids it. This novel has been published as a fundraiser for the International Ocean Institute! 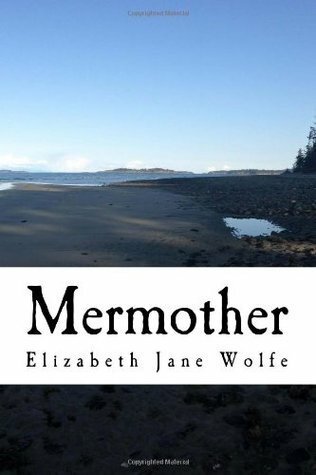 Mermother is a fast paced and unpredictable novel. The synopsis does not do a real good job of telling you the best parts about the book. The book is much more exciting than how the synopsis reads. It is a first person account of Briony, a 25 year old woman who wakes up in a tide pool, next to a "girl" named Sylvie. This other "girl" is actually a mermaid who shows Briony what is like to be a creature of the sea. Sylvie's character is really superficial and I found myself not liking her at points. I also found myself super confused by Briony's choices during the novel. She agrees to stay with Sylvie and learn the ways of the sea for a few days but ends up staying much longer. She doesn't really stop to question or worry about her previous life. She is fine letting her loved ones think that she drowned at sea. Briony also seems to go along with some other disturbing things throughout the book that would have sent a normal person running in the other direction. Mermother has some shocking aspects that reminded me of the Handmaid's Tale by Margaret Atwood. I found myself disgusted and mad but I just HAD to keep reading. I had the very same feeling while reading the Handmaid's Tale. I can't wait to read the next in the series because I want to know how everything turns out! I have not read many books with mermaids but I really liked this one. I liked that it is not about a girl that falls in love with a mermaid. Mermother is a bit twisted and holds lots of surprises! Wow nice pics...Nice One !!!! Dakota Johnson and Charlie Hunnam are looking Good together in Fifty shades of Grey..